Ambient / acoustic sound or noise pollution is the single most common irritant in urban living. Accustomed as we are to the constant din around us, our bodies and minds have sub-consciously absorbed the irritants into a way of life. So much that when we are faced with an absolutely quiet environment, it seems as if something vital is missing! It is impossible to cancel out noise from our lives completely. But the advancement of technology has afforded us the luxury of creating appliances that cancel noise or ambient sounds from our immediate vicinity. Especially in areas like aviation, entertainment, media etc. where improved listening and communication are key factors. Today, headphones or ear appliances that reduce noise and ambient sounds are in use even in homes where people often listen to their favourite music without having to raise volume excessively to cut out noises of some activity within close range. Most of the appliances in use currently use analogue technology. This is in sharp contrast to most other forms of noise or vibration control where digital processing continues to be the standard method. A cursive glance at how this technology design has become so useful. 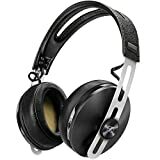 • Typically these ear or headphones use active noise control that cancels out the lower frequency portions. • Soundproofing is a traditional method in use to prevent high frequency sounds from reaching the ear. This is the preferred method simply because it negates the need to use complicated electronic circuitry to cancel high frequency sounds. When in-ear headphones block out ambient sounds, it is noise isolation. In reality, sounds of a typical frequency are cut off. In noise cancelling technology, it also works the same way but more effectively because it electronically cancels the actual airwaves, thus effectively blocking low, medium and some high frequency sounds although some noises like infants crying on a flight etc. may not be completely cut. 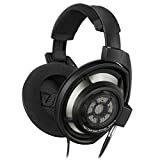 Still there are extremely good models of in-ear headphones and over-ear headphones available today that effectively cancel out all acoustic or ambient noise. 1. Constant use of such appliances makes the user or wearer queasy or imbalanced at times probably due to extra weight of batteries which makes the headphones heavier. 2. Power is usually provided through a USB port or battery that needs constant recharging. Without power, the headsets do not function to optimum levels. 3. Usually a high frequency hiss remains constantly in the background although ambient sounds are noticeably reduced. 4. High costs also remain a prohibitive factor.